Dr. Liu joined the Department of Neurology at the University of Louisville in 2011 as an Assistant Professor after completion of Neurointervention fellowship training. 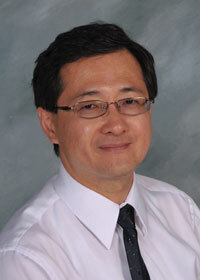 Dr Liu has strong interests in treating stroke patients. After his training at the Barrow Neurological Institute, one of the premier Neuroscience Institutes in the US, stayed as an academic stroke attending, and dedicated his time in stroke treatment and secondary prevention. To offer more treatment options for stroke patients, he went to University of Iowa for neurointervention fellowship. Neurointervention is a minimally invasive surgery that treats blockage and narrowing arteries in the head and neck for ischemic stroke with a special X-ray machine through a femoral artery access in the groin area. It has been shown to improve outcomes for stroke patients. It can treat brain aneurysms and other vascular malformations without the need of opening skulls. Dr Liu is excited about an opportunity to dedicate his expertise for stroke patients in the state of Kentucky at it locates at a region having unusual high incidence of stroke, called “Stroke Belt”. With collaborating with other specialties, Dr Liu’s goal is to build the first comprehensive stroke center at the Louisville. Acute ischemic and hemorrhagic stroke, carotid stenosis, intracranial stenosis, cerebral aneurysms, arteriovenous malformation (AVM) and shunting (Fistula), hypervascular tumors, intractable epistaxis. Dr Liu is interested in the fields of atherosclerosis and aneurysm formation.